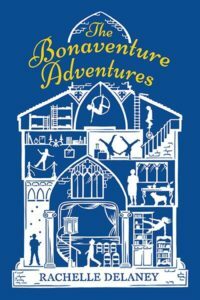 If you have ever wanted to run away and join the circus, The Bonaventure Adventures is a book for you to read. I liked this book because it shows the lives and struggles of circus performers. When Sebastion Kostantinov, a young circus performer, is selected to attend a highly prestigious circus school in Canada, he knows he has to go to help save his family’s circus. When Sebastion arrives at the school everyone is expecting him to have great talent, which isn’t the case. Sebastion pretends to be a fire breather which kind of blows up in his face. Sebastion becomes good friends with Banjo and Frankie which leads to going on great adventures. My favourite character in the story is Banjo because I found that I could relate to him. He is a hippie from the West Coast of Canada and a lot of his stories and experiences reminded me of ones I had or someone I know has had. My favourite part of The Bonaventure Adventures was when Sebastion and his friends decided to hijack the circus and put on their own show. This group of friends knew what they were doing was wrong, but they knew that it would benefit the school so they did it anyway. The Bonaventure Adventures is a great choice for any readers who enjoy adventure stories. This review is from Canadian Teacher Magaziner’s Winter 2018 issue.